South Asian International film festival (SAIFF 2018) like every year was held in New York from 12th to 16th of December to celebrate and acknowledge the best of South Asian talent in cinema. This being the 15th installment of the prestigious festival holds significance to us as two Pakistani films won awards in two different categories. 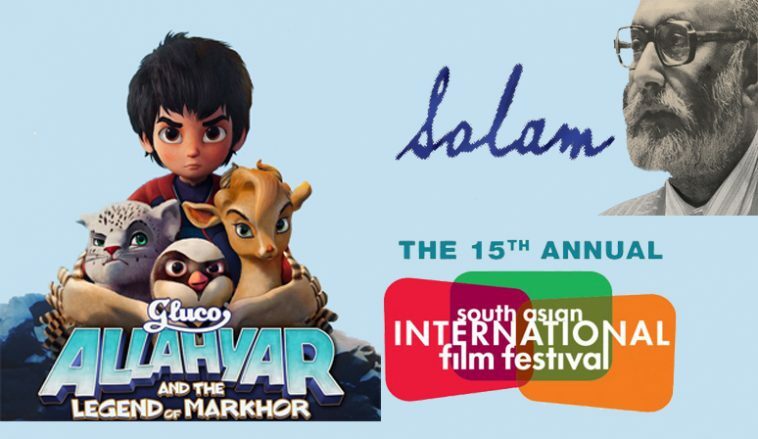 The animated boxoffice hit of the year, “Allahyar and the Legend of Markhor” won award for best feature film (audience choice), while documentary film “Salam” made on Pakistani nobel prize winner scientist Abdul Salam, bagged the best documentary film award. Pakistani short and documentary films have been making rounds across the globe and making it big at much celebrated film festivals. Two documentary films, by Sharmeen Obaid Chinnoy, have already won Acedemy award. But now with the revival or more precisely the “rebirth” of Pakistani cinema industry, our feature films are also getting recognition across the globe. While many of us are left unhappy with “Cake” not being able to make it to the short listed films at Academy Awards nominations, here we got alternative reason to rejoice. We at PakistaniCinema.net congratulate the makers of these two films for making the nation proud and giving us a moment of joy at the right time.